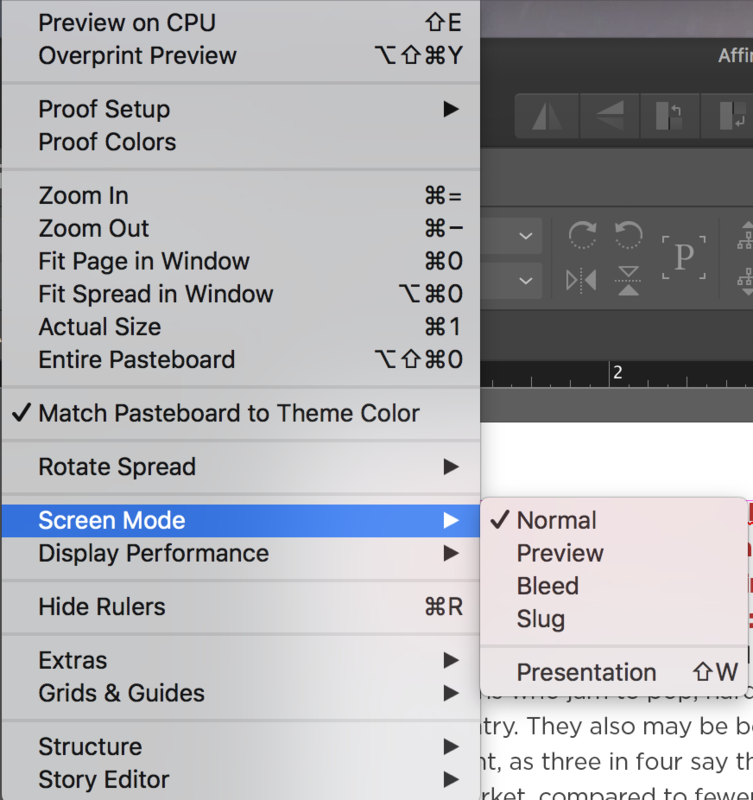 Is there a screen mode like in InDesign? Can't seem to find something similar in the Affinity Publisher Beta. Thanks! Would be neat to have a feature like that included eventually. I like previewing my designs without all the object boxes and areas that are "bleeding" out. Ditto, use this feature alot. Go to menu View ▸ Hide All Guides. There will be more improvements here in the next updates.